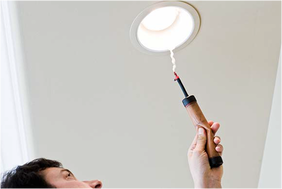 Tired of hot and cold rooms, ever increasing utility bills or always dusting the blinds and furniture? 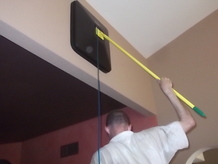 Just like a doctor conducting x-rays and blood work to diagnose health problems, Green ID's home energy auditors use advanced equipment and technology to identify exactly what is causing your home's inefficiency problems and recommend solutions to create a more healthy, comfortable and energy efficient home. 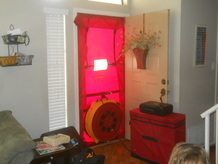 Sign Up For Your $99 Home Energy Audit Here! 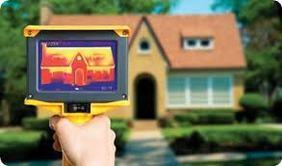 What's Included in a Home Energy Audit? Homeowner Interview- this is an important first step in diagnosing your home because it's your home and you are an important source of information for our advisors. Visual Inspection of the House- to see where there are potential venting problems, window and sun exposure and typical construction defects that may lead to other problems. Duct Leakage Test- to identify the amount of leakage that existing in the ductwork by measuring the leakage in the ductwork and visually inspecting the ducts in the attic. "David was very professional and helpful. Ty did the work, we really liked him. W did not the post for a couple of months just to see if he difference was equal to what they said it would be. They exceeded their own expectations. Our SRP rating went from bad (8) to very good to (2). We had an estimate from another home repair company. David did more work and charged less. Our home is cooler than it has been in the years we have lived here. Thank you for everything, David. We would recommend your company to everyone!!!" Duct Design Evaluation- we look at how the ducts were placed and installed in your rooms to find opportunities to properly air balance the home or relocate or add new registers for maximum air flow. Infrared Camera Inspection- will spot hidden defects in the insulation and thermal envelope we couldn't find any other way. Utility Bill Analysis- your home's usage pattern provide a good indication of what's going on in your home. 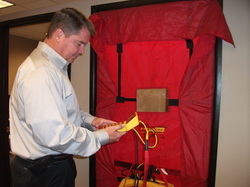 Static Pressure Test- will evaluate your HVAC system, ductwork and registers to tell us how well the airflow is moving through your delivery system and if the system is being starved for air. Pressure Test- will identify pressure imbalances between rooms that exaggerate dust and allergens, air leaks and make the HVAC system work harder than needed. The heat and air in the house are killer with the new ventilation system and registers. We're totally blown away by the efficiency of the heat pump now and it's so quiet, we never know when it's on. ​-Nancy, 1995 yr built 2800 sq ft home Scottsdale. Water Heating Evaluation- looks at your temperature settings, feasibility for alternative heating sources and other energy saving opportunities. Insulation and Air Barrier Evaluation- will inspect your attic for not only insulation condition, but how it was installed. Poor installation or just a lack of knowledge by home builders and insulation contractors left many homes simply uninsulated. Pool Pump Evaluation- will look at energy saving opportunities at your often overlooked, second biggest energy user in your home, the pool pump system. Home Energy Report- summarizing our findings and giving you modeled cost savings from an advanced heat load calculation we perform on your home.